Infrastructure specialist D-Link has put the official stamp on an internal restructuring programme, previously revealed on MicroScope.co.uk, that it claims will give it the ability to service its b2b resellers more effectively, and win back partners that have fallen out of love with it. D-Link UK marketing manager Andrew Mulholland explained that its success in its telecoms and ISP facing business meant it had de-focused from the UK channel. "We have market leading positions in markets such as Italy, Germany and France, but not in the UK. Here we're not realising our full potential," said Mulholland. "We have not grown in as many accounts as we should have done. 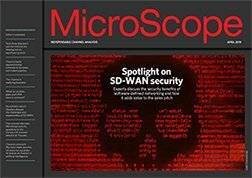 Partners know us for switching and routers but when we do the pitch on IP surveillance or storage, we find they had no idea we covered that," he said. The reorganisation has seen the firm's UK and Ireland business split into three different units, Consumer, Business and Telco & ISP, with separate management and business development teams. The Business Solutions unit is currently putting in place a larger channel team to recruit net new resellers, and re-engage with those that had moved away from D-Link for whatever reason. The new business development team will also be on hand to provide techncial support to VARs and their customers. The wider restructure brings the firm in line with its European operations, said Mulholland, who has seen responsibility for the Business Solutions unit added to his existing remit. Under the new regime, the Telco & ISP unit has been handed to Aaron Armah, while Adrian Edwards, former retail account manager at peripherals vendor Logitech, rejoins as Consumer Solutions manager. In addition, D-Link business development manager Bentley Lo will now lead a new team of development engineers focused on the firm's core technology areas. This structure reports into Stefano Nordio, vice president and area manager of UKI and Southern Europe, and Luigi Salmoiraghi, UKI deputy country manager, D-Link revealed.